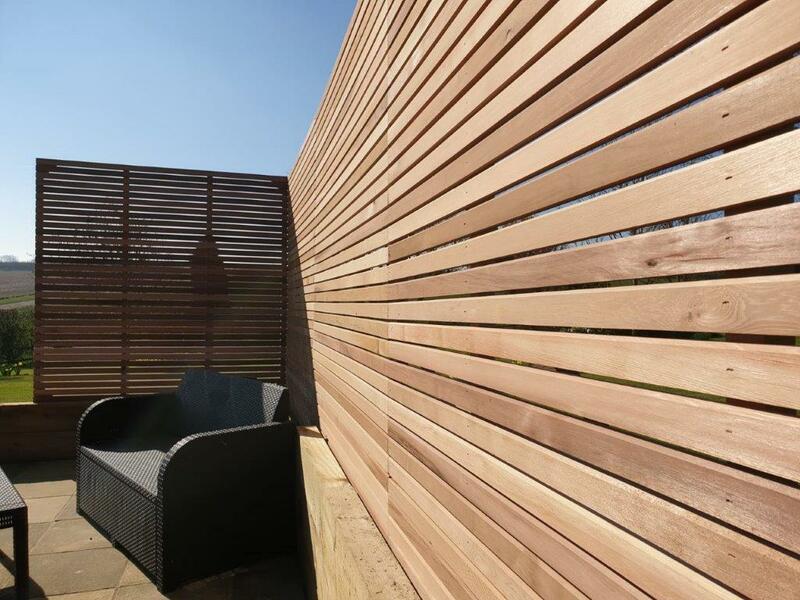 As the image shows we have a range of modern profiles that will suit the appearance of your garden, in this case Western Red Cedar single sided panels measuring 6ft x 6ft (1800mm x 1800mm) used as a windbreak for a patio area, installed on top of a treated garden sleeper retaining wall. 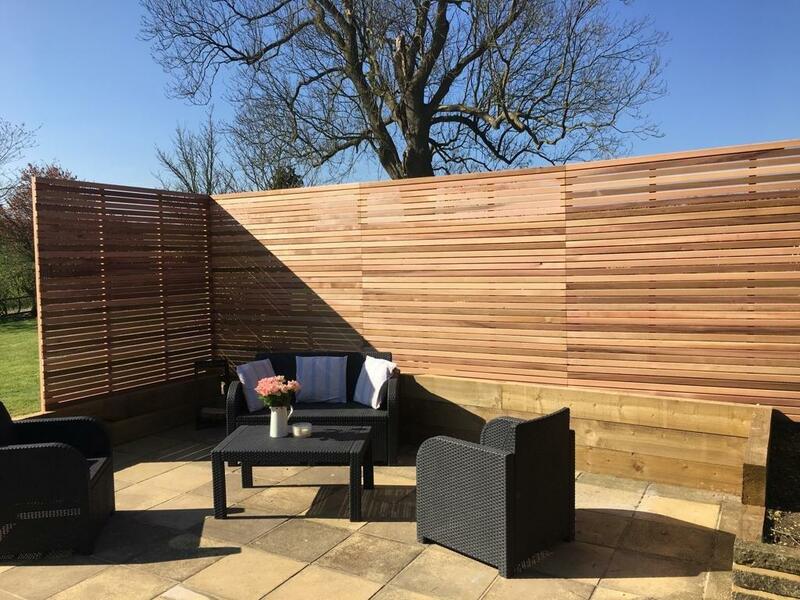 Our garden screens are the perfect solution to create your own unique inspirational garden space and to keep your garden private. 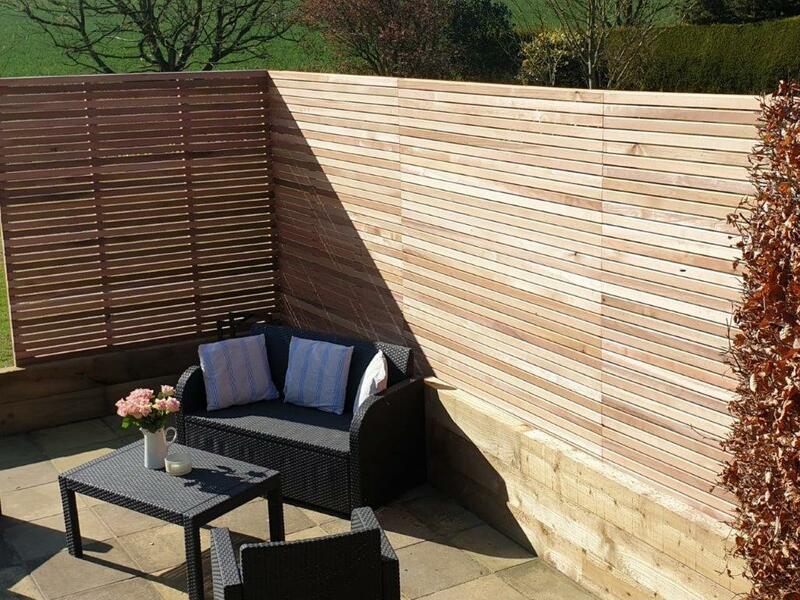 For more information on our competetively priced garden screens call us on 01472 350151 or 01652 658082. Delivery can be arranged throughtout the UK so don't hesitate, give us a call today to find out more. Available in single or double sided. 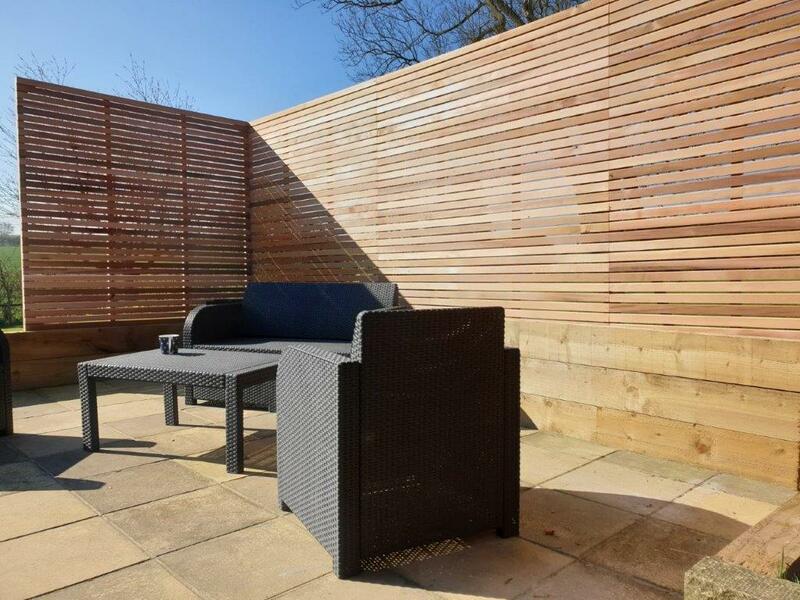 Call 01472 350151 or 01652 658082 for further details.